Dr. Wallinga holds a Ph.D. in computational science and statistics and a master's degree in computer science from the University of South Dakota. 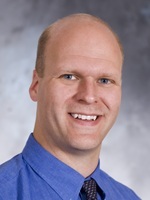 A Northwestern College graduate, he taught computer science at NWC for nearly nine years, during which time he coached two Northwestern teams that competed among the world's top 100 student computer programming teams at the Association for Computer Machinery International Collegiate Programming Contest. Wallinga has also worked as data programmer and analyst for Interstates Control Systems, Inc. In that capacity, he administered database servers, wrote programming code, designed scorecards and dashboards to effectively present information, and created secure websites for information delivery and collaboration. Prior to returning to teaching, he spent nearly seven years as Northwestern's director of institutional research, a position he continues to hold on a quarter-time basis along with his teaching responsibilities. Wallinga majored in both computer science and mathematics at Northwestern. (4 credits)(Writing intensive) This course moves students into the domain of software design, introducing principles that are necessary for solving large problems. Here, the classical software design process serves as a basis for treating such topics as abstract data types, specifications, complexity analysis and file organization. Basic data structures and transformations are introduced as representative of the fundamental tools that are used to aid in this process. A high-level language will be used for the purpose of gaining mastery of these principles through lectures and independent hands-on laboratory experiences. Prerequisite: CSC171.